Freddie Prinze Jr. Confirmed as “Cowboy Jedi” Kanan! Upcoming 'Star Wars' animated series 'Star Wars Rebels' remained secretive even through its first character reveal, but at long last we have our first major protagonist, Jedi, and voice actor to boot. 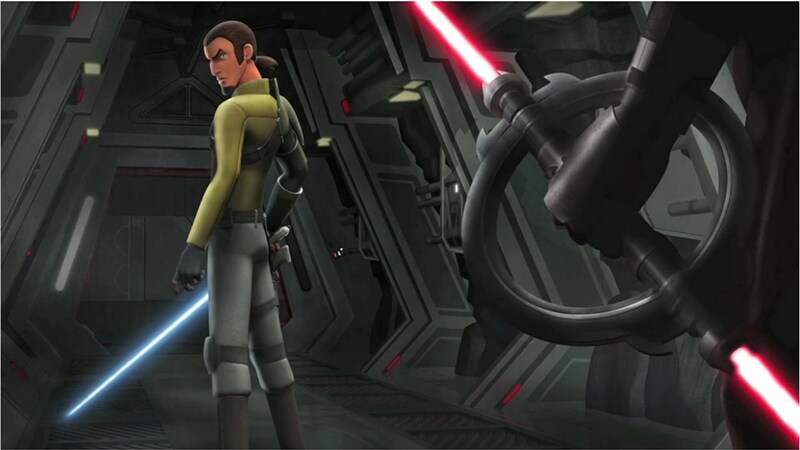 Prepare to join the 'Star Wars Rebels' with newly-confirmed voice actor Freddie Prinze Jr., giving life to the ponytail-wearing "cowboy" Jedi knight, Kanan! USA Today debuted the first look and details of the character, though it isn't yet known if Kanan will act as the primary role for the series, or more of a Jedi Han Solo type to an ensemble piece, akin to the original 'Star Wars.' Apart from the character's minimal armor, "Samurai" ponytail and chin-beard, producers and Prinze previewed that the character has largely kept his Jedi nature hidden following the execution of Order 66, preferring a blaster as he keeps his lightsaber under lock and key. Of course, when the Jedi-hunting Inquisitor comes-a-callin', only a more elegant Jedi weapon can fend off the Imperial baddie's red blades. ‘Star Wars Rebels’ continues the epic tradition of the legendary ‘Star Wars’ saga with all-new exciting, action-packed adventures. It is a dark time in the galaxy, as the evil Galactic Empire tightens its grip of power from world to world. As the series begins, Imperial forces have occupied a remote planet, ruling with an iron fist and ruining the lives of its people. But there are a select few who are brave enough to stand up against the endless Stormtroopers and TIE fighters of the Empire: the clever and motley crew of the starship “Ghost.” Together, this ragtag group will face threatening new villains, have thrilling adventures, and become heroes. We’ve already met the crew’s feisty droid “Chopper,” and learned a few details from the LEGO packaging, but no full voice cast has been made official. That said, we previously heard 'The Butler’ star David Oyelowo, Vanessa Marshall, Taylor Gray and Steven Jay Blum were at least on the short list. Picking up where the now-canceled ‘Clone Wars‘ left off, ‘Star Wars Rebels’ will also feature screenwriter and producer Simon Kinberg (‘X-Men: First Class,’ ‘Elysium‘), who’s writing the first episode, on the creative side. 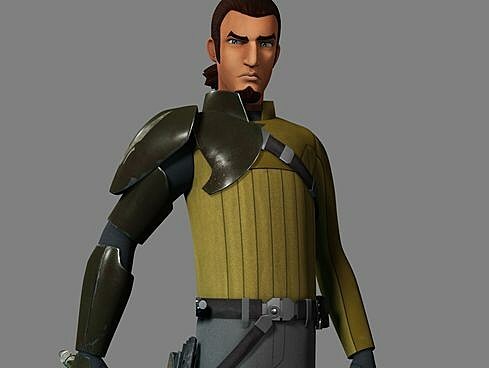 In addition to the video preview above, check out artwork of Freddie Prinze Jr.'s Kanan below, and tell us in the comments what you want to see when 'Star Wars Rebels' premieres later on in 2014 on Disney XD! Source: Freddie Prinze Jr. Confirmed as “Cowboy Jedi” Kanan!